Airports across the European Union will reportedly abandon the use of X-ray scanners, as health concerns led bureaucrats to deny approval for their widespread use. Last November, the European Commission blocked further trials of the device, which displays a naked image of the person being scanned – like a hospital X-ray. 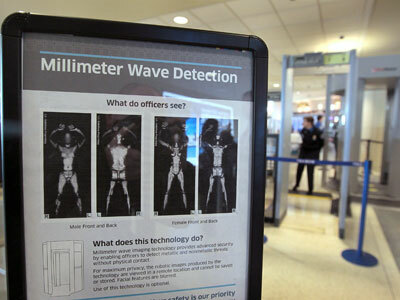 Experts warned that the scanners, which use X-ray technology to detect hidden explosives and weapons, could emit dangerous levels of cancer-causing radiation. In 2011, European Commission chiefs told Manchester Airport it could continue using the machines for another year. With that trial period drawing to a close, officials chose not to greenlight the machines for full-time use. 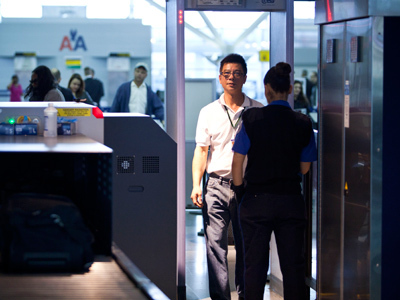 Executives had hoped that the airports would be allowed to continue using the technology, but will now be forced to scrap the 16 security machines. The scanners will be taken offline in October. Manchester Airport will instead use the scanners found in most other airports, which use radio frequency technology and not X-ray radiation. The airport will spend an estimated 1.3 million British pounds on the new machines, and on recruiting an extra 55 full-time security officers, who will frisk passengers the old-fashioned way. “We’ve been talking to passengers literally every weekend and security staff and overwhelmingly in August it was 100% thumbs-up to security at Manchester Airport,” airport spokesperson Russell Craig said in an interview about the new scanners with UK newspaper the Daily Mail. “We’ve had visits from airport and governments from all over the world to see how we do it,” he said. Aside from the safety hazard, concerns were also raised about possible invasions of privacy. Ten passengers were not allowed to board their flights after refusing to pass through the machines. And at London Heathrow, the machines were banned amid complaints over privacy violations. While the European Commission claimed that the risk of adverse health effects from the radiation produced by the scanners was ‘very low’ – especially compared with other sources like the cosmic radiation absorbed by passengers during flights – they did admit that long-term cancer risks could not be ‘entirely excluded’ from consideration. The machines have already been put to widespread use across the United States. 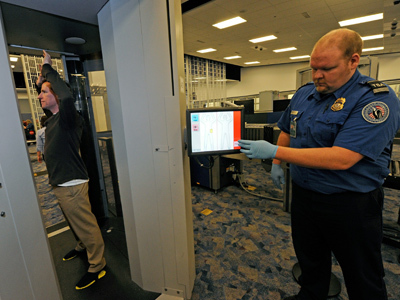 Earlier this year, more than 600 X-ray scanners were reportedly installed in airports throughout the US. With so many scanners in use in the US, up to 100 passengers a year could be at risk for cancer, experts said. Fears over the health risks associated with the scanners trace back to 1998. A team of experts expressed concerns that the machines went against a longstanding principle that humans should only be subjected to X-rays for medical purposes. 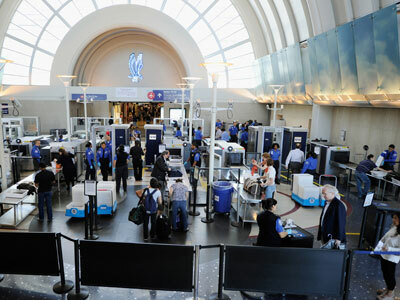 But the US travel watchdog, the Transportation Security Administration (TSA), defended the scanners, claiming that they exposed passengers to the same levels of radiation as two minutes of flying on a commercial plane.